The New World blackbirds, troupials, and meadowlarks (Icteridae) include the beautiful orioles (Icterus) and caciques (Cacicus), as well as many other colorful songbirds. 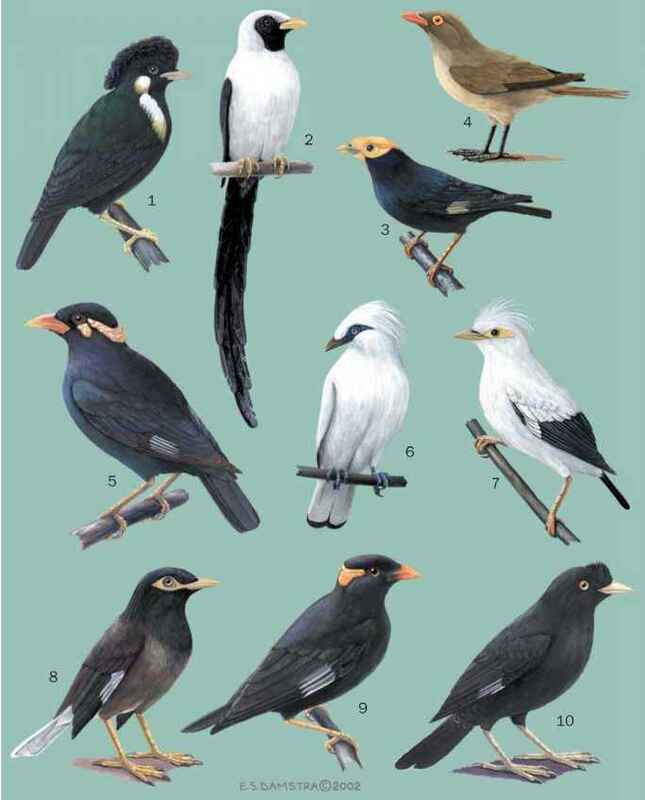 The icterids are variously treated as a family, subfamily, or tribe in a more inclusive family (Emberizidae or Fringillidae) that also contains a number of other songbirds having only nine primary wing feathers. Most sources separate these at the familial level. Other groups of birds that are closely related to the blackbirds are the olive warbler (Peucedramus taeniatus), bananaquit (Coereba flaveola), and other New World warblers (Parulidae), and the tanagers, buntings, and other New World finches (Emberizidae). These birds no doubt evolved in the New World, and today all, with the exception of the Ember-izidae, are confined in their distribution to the New World. The Icteridae almost certainly evolved in South America where today the largest number of species occur. One large genus of blackbirds, the orioles, may be of Central American origin. These families probably differentiated rather recently in geological time, perhaps during the Pliocene. All of the fossils of icterids, however, are from the Pleistocene or Holocene. Molecular studies delineate five distinct lineages within the Icteridae. These are: (1) the grackles and allies (including Age-laius, Euphagus, Quiscalus, Molothrus, and 11 other genera), (2) the caciques and oropendolas (Cacicus and Psarocolius), (3) the orioles (Icterus), (4) the meadowlarks and allies (Dolichonyx, Xanthocephalus, Sturnella, and Leistes), and (5) the cup-nesting caciques (Amblycercus holosericeus).